Fully welded, CNC precision cut and bent. Brush bar, and grating can be customized. 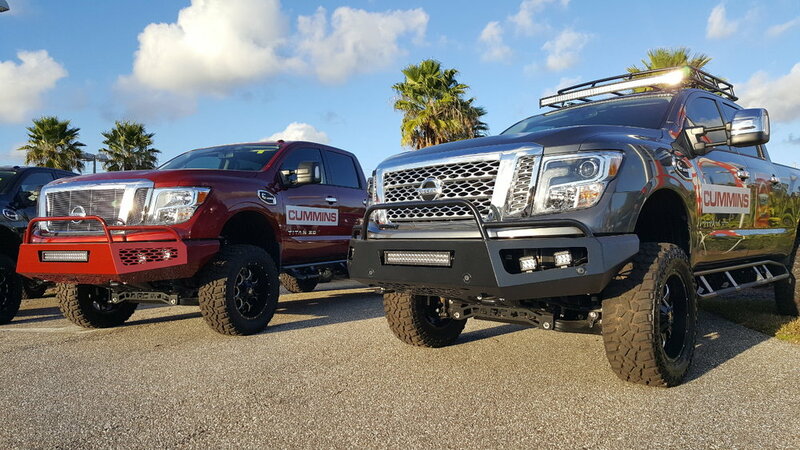 LED mounts come standard - gusseted and strengthened .125 Plate steel. Easy install, weighs approximately 90lbs. 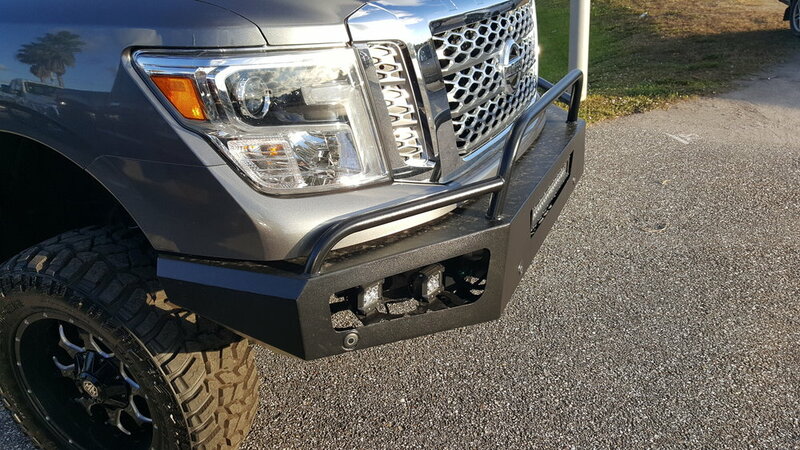 Customize your bumper by having it painted, or modify the shape of the brush bar, grille, and lighting. Fully welded, CNC precision cut and bent. Step bar, and grating can be customized. LED mounts come standard - gusseted and strengthened .125 Plate steel. Easy install, weighs approximately 70lbs. 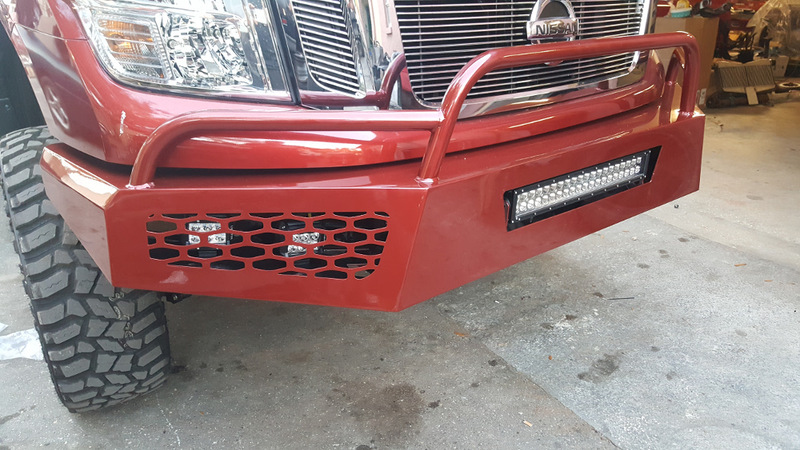 Compatible with Tow Package, License Plate Lamps, with holes for license plate.